On Monday, the Particulate Matter (PM) 2.5 level was recorded at 231, while the PM 10 was recorded at 402 in New Delhi. 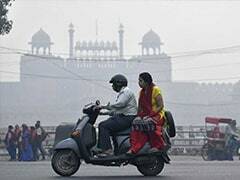 The national capital, routinely suffering from the toxic air caused by coal burning and vehicular exhaust, witnessed yet another bad day on Monday. The official data maintained by the Centre-run System of Air Quality and Weather Forecasting And Research (SAFAR) put the condition at severely polluted. On Monday, the Particulate Matter (PM) 2.5 level was recorded at 231, while the PM 10 was recorded at 402 in New Delhi. An AQI between 0-50 is considered good, 51-100 is satisfactory, 101-200 moderate, 201-300 poor, 301-400 very poor and 401-500 is marked as severe/hazardous. If one looks closely, the majority of the areas in the capital recorded 'severe' air quality. At Ayanagar, the AQI was 339 at 10 am, while in Mathura Road area, it dipped to 381 category at 'very poor'. Furthermore, AQI near Pitampura, Airport Terminal 3 and Delhi University stood at 416, 374 and 422 respectively. As per the forecast agency, "Weather parameters are still unfavourable. The AQI is fluctuating (flip-flop) between 'severe' and 'very poor' because landlocked Delhi is not able to flush out a significant amount of local emission added on 7-8 November night. This is mainly due to adverse weather conditions. Under calm wind condition, when the mixing layer goes up during the day, AQI improves but when in the night, cooling drops mixing layer, AQI increases." The visibility is so poor that it is making it difficult for commuters to make out the colours of the traffic lights at intersections. The Delhi government led by Arvind Kejriwal is yet to take a call on the closing of schools and colleges as children have also fallen prey to the menace of toxic air. 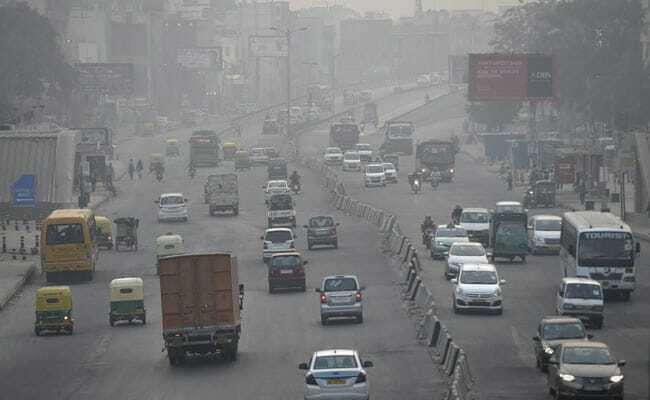 "Both of my children are suffering from breathing issue and my mother-in-law is suffering from eye irritation because of the increase in air pollution in Delhi. I believe that buying air purifiers are the only solution to get clean air but due to high prices only the wealthier people can afford, "said Tripti Bansal, a resident from Green Park, Delhi. The residents have been adviced to avoid all physical activity outdoors and move activities indoors. "If asthmatics, keep relief medicine handy. 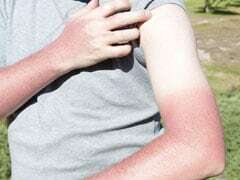 Sensitive Groups must stop outdoor activity at early morning and after sunset times. Avoid prolonged or heavy exertion. Go for a short walk instead of a jog and take more breaks. Stop any activity level if you experience any unusual coughing, chest discomfort, wheezing, breathing difficulty, or fatigue. If the room has windows, close them. If the air conditioner provides a fresh air intake option, keep that closed," stated the advisory published by SAFAR. According to the World Health Organisation (WHO), around 3 million deaths a year are linked to exposure to outdoor air pollution. Indoor air pollution, on the other hand, can be just as deadly. In 2012, an estimated 6.5 million deaths (11.6 per cent of all global deaths) were associated with indoor and outdoor air pollution together. 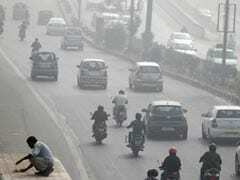 Nearly 90 per cent of air-pollution-related deaths occurs in low and middle-income countries. "Air pollution continues to take a toll on the health of the most vulnerable populations - women, children, and older adults. For people to be healthy, they must breathe clean air from their first breath to their last," said Dr. Flavia Bustreo, Assistant Director General at the WHO. However, not all air pollution originates from human activity. For example, air quality can also be influenced by dust storms, particularly in regions close to deserts.